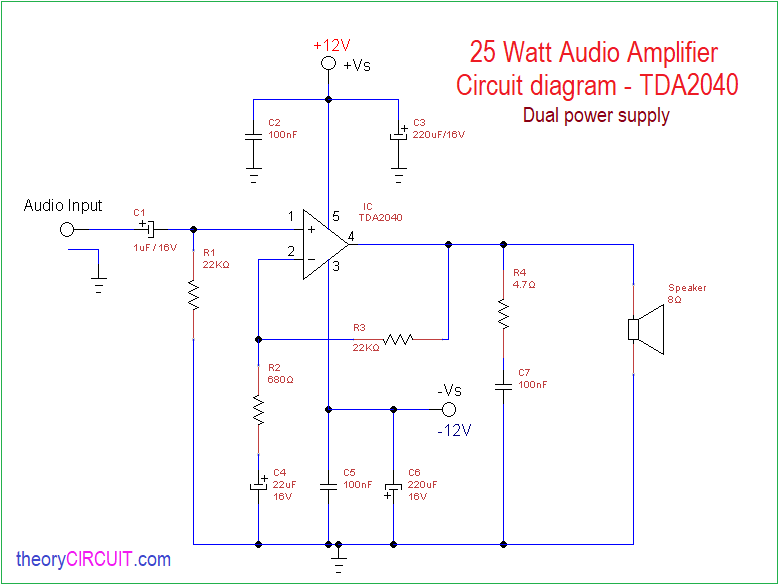 25 watt Audio power Amplifier circuit designed by using IC TDA 2040 (25 watt hi-fi audio power amplifier) from ST. It is a monolithic Integrated circuit comes in pentawatt V package so it occupy less space in PCB, and it can be used as a Class AB amplifier. TDA2040 provides 25 W output power into 4Ω loud speaker and it has low harmonic and cross over distortion to the amplified signal and gives high output current. It can be used in single or split power supply and takes wide range of supply voltage upto 40V. It has internal short circuit protection and thermal shutdown. 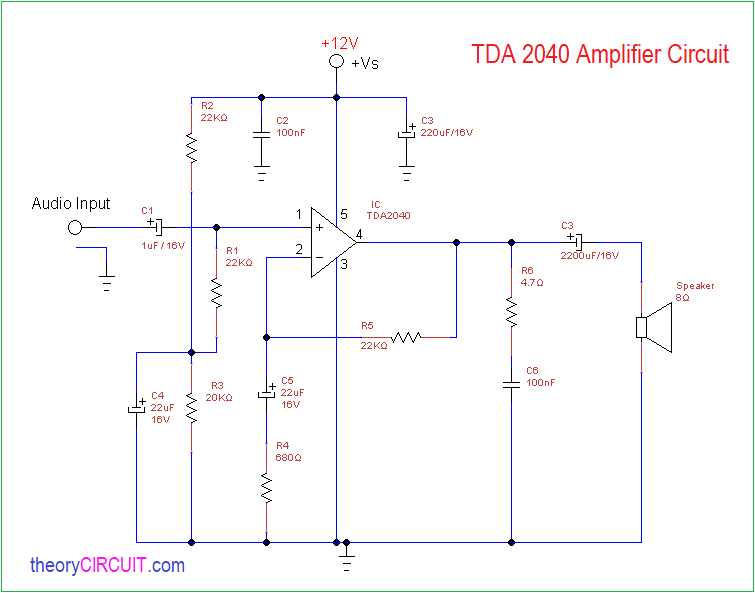 Here the following prototype designed to drive 8Ω loud speaker using TDA2040 by applying split 12 Volt supply and single power source 12 volt supply. For both circuit operation methods are same but the construction slightly changes due to the power supply connections. When we employ dual power supply (split power) we can obtain perfect peak to peak audio output signal and for the single power supply circuit we may lose few audio negative signal details but the overall amplification and power delivery performance for both the circuit are same. Here the amplifier takes mono audio signal and gives mono audio output, if you need stereo amplifier you can bridge two TDA2040 amplifiers.